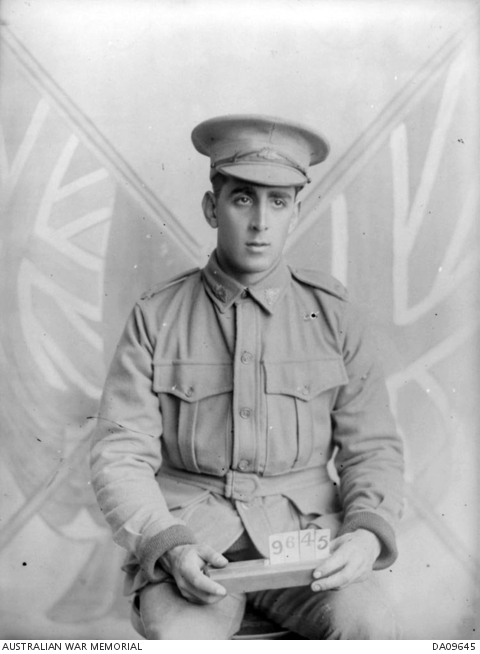 Studio portrait of 1984 Private (Pte) John Thomas O’Neill, 3rd Reinforcements, 17th Battalion, of Annandale, NSW. Pte O’Neill enlisted on 17 May 1915 and embarked aboard HMAT Runic in Sydney on 9 August 1915. He was killed in action on 6 November 1916 in France.